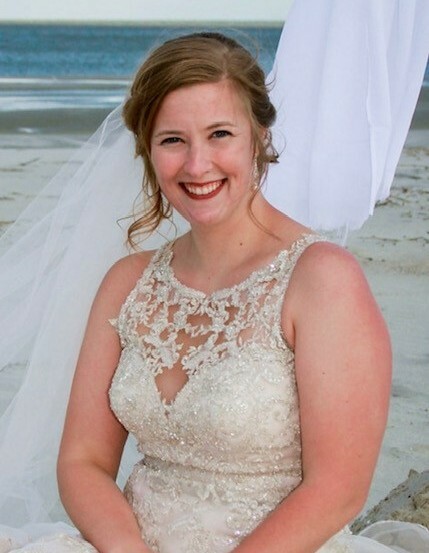 Jessica Lynn Kuczka, age 26, of Port Royal, SC died Saturday, February 9, 2019 at MUSC in Charleston, SC. Jessica was born on October 16, 1992 in St. Louis, MO. She was a graduate of Webster University in Missouri and continued her formal education in Georgia at Savannah College of Art and Design where she earned her Master’s Degree in Historical Preservation. She was the Executive Director for the Historic Port Royal Foundation. She enjoyed knitting, museums, drawing, painting, singing, and the beach. Jessica is survived by her husband, Jacob Christopher Kuczka and their 11 week old son, Oliver Edward. In lieu of flowers, remembrances may be made to Historic Port Royal Foundation, P.O. Box 817, Port Royal, SC 29935. Sauls Funeral Home of Bluffton is assisting the family with a private funeral service.